I don't know about you, but ever since I started livin' la vida low-carb I've had such an unprecedented hunger and thirst for information about nutrition, fitness, diet and health like never before in my life with any other subject. Even when I was studying government and politics in college and graduate school, I never felt THIS excited about reading so many books and resources. It's an educational awakening that I think most low-carbers go through because of the enlightenment we see happening to our own weight and health. To that end, I'm always happy to share with you some of the most current and not-so-current books I have come across and read while studying this fascinating subject. But, as will often be the case, the books do tend to pile up on me a bit, so today I'm gonna highlight 15 new and essential books about diet and health that I've been reading lately along with a few comments about each one. Keep in mind that not all of these "diet" books are explicitly low-carb friendly, but that's okay since I think we can still find merit in the experiences shared by the authors of those books (even if we have to hold our noses with some of their "expert" opinions). Likewise, several of these books will have you stand up and cheer because they quite clearly espouse the basic tenets of a healthy low-carb lifestyle. After I decided to finally get serious about starting a resistance training regimen a few weeks ago (which is going great so far and I'll have an update on my progress soon), I received several e-mails from my blog readers who told me to look into the "slow burn" method for training. I had no idea what they were talking about because I wasn't really into weight lifting until recently. It turns out this was a unique form of weight lifting that was developed by Fred Hahn in conjunction with two of my favorite low-carb advocates: Dr. Michael Eades (who should be our next president, ya know...LOL!) and his lovely wife Dr. Mary Dan Eades. Hahn as been a professional trainer for over two decades and believes people have been given useless information as it relates to exercise. As a natural skeptic of anything regarding health since starting low-carb, my curiosity was piqued. Rather than doing hours upon hours of cardio training every week, Hahn says, why not invest in a deliberate and very intense weight lifting that is unlike anything you've ever seen or done before? That's what The Slow Burn Fitness Revolution is all about and it will radically change what you think you know about building muscle. When these strategies outlined by Hahn and the Eades are implemented correctly, your body will get stronger, burn more fat, rev up your metabolism, and you'll do it faster than you ever thought would be possible. In fact, he says you can get all the workout you need in just 30 minutes a week. Yep--A WEEK! In conjunction with a healthy low-carb lifestyle, you'll be lifting slowly, feeling the burn in your muscles quickly, and getting stronger and stronger as the weeks go by. Whether you have access to gym equipment or if you can only fit it in your schedule from home, it's all in this book and then some. Specific detailed instructions about the exercises you need to do are included and they answer all the questions you may have about each one. 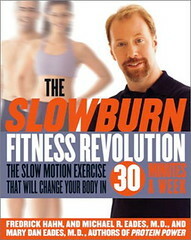 After spending a lifetime of torturing yourself on a treadmill to try to lose weight with little to no results, maybe it's time to give The Slow Burn Fitness Revolution a try to get stronger, feel better, and do your body some good. I'll be interviewing Fred Hahn very soon about his one-of-a-kind fitness routine that stresses low-carb nutrition to correspond with effective muscle-building workouts. Stay tuned! Although I'm certainly no fan of the low-fat philosophy embraced by Weight Watchers, what I DO support is people finding a proven and effective weight management plan that they can do over the long-term for the rest of their life. For some people, that diet that's right for them is indeed Weight Watchers as the book Start Living, Start Losing illustrates. 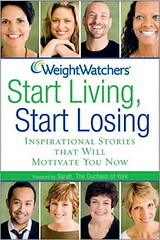 If you're a sucker for hearing weight loss success stories, then this is quite an inspirational book for you to read. It is sanctioned by the Weight Watchers organization, so all of the more than 60 stories are from people who followed that plan. But I liked the format of this book and it would make for an excellent book about low-carb success stories one of these days. Each chapter features stories from people of all ages, backgrounds, occupations, and health. They are written from the first person which is always more interesting hearing directly from the person who went through the hard work and effort themselves to lose the weight. At the end of the 2-3 page story, a quick "take-away" message is provided to hammer home the key ingredient in that person's success along with a motivational quote from the individual who was featured. Although I could never do the Weight Watchers program (and many of them are totally enthralled by livin' la vida low-carb), I'm always the first to applaud success when it happens. If someone is happy on Weight Watchers, then who am I to tell them it's not right? But the same goes for my decision to be on the healthy low-carb lifestyle and sharing my story too. Weight loss isn't about whose diet is better, but rather what can produce results. Make your choice and then stick with it! So much of the research into the most destructive health ailments we now face is focusing on the role of the diet. This is something Dr. Fred Ottoboni and his wife Dr. Alice Ottoboni know a thing or two about. Before retirement, they had spent many years of their career investigating, studying, and researching disease occurrence among various people groups around the world and they discovered something quite revealing in light of our current crisis with obesity, diabetes and worse: much of it is preventable by simply ignoring the high-carb, low-fat, low-cholesterol advice that has sadly become accepted as the "healthy" diet. 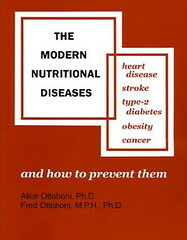 In Modern Nutritional Diseases , Drs. Ottoboni explain in meticulous detail why those diets are useless against most modern diseases and shares the research showing the elimination of sugars and starches will put us back on the road to health faster than removing saturated fat and cholesterol from our diet. There's even an invaluable chapter on how to distinguish good science from bad science among the many voices telling us what the facts are. The references and charts contained in this book make it well worth having in your low-carb library. I'll warn you now that it does get a bit technical in some areas, but this stuff isn't simple either. There are many things to evaluate and analyze in the process of coming to the conclusions about nutrition and metabolism that Drs. Ottoboni do. This is every bit as good a book to read as Gary Taubes' Good Calories, Bad Calories was because it complements much of the same concepts and ideas. My favorite part is at the end in a chapter called "What do you do now?" the authors give you practical instructions about making the changes you need in order to ward off the modern nutritional diseases in your own life. Specifics about diet, supplements, exercise, and suggested resources for further education are provided. This is an invaluable tool for anyone following a controlled-carbohydrate nutritional approach or who wants to learn more about why this way of eating works so well. Have you noticed that EVERYBODY is an obesity "expert" nowadays? It's not just nutritionists, nurses, researchers and physicians either. We've got psychologists, government officials, and even economists weighing in on the subject using their experiences to try to resolve this growing problem. 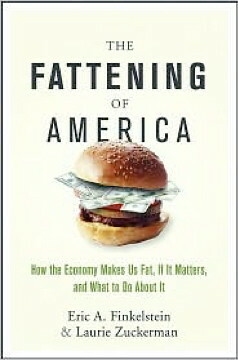 That's what happens in The Fattening Of America by Dr. Eric Finkelstein and Laurie Zuckerman. They look at the obesity epidemic as an issue with money (or the lack thereof) and what role the government should play in dealing with what they call "The ObesEconomy." Although there are many good points made in the book about the obesity issue, I couldn't help but notice one VERY glaring omission as to why this problem still exists in 2008: special interest protection of the grain, sugar, processed foods, and low-fat industries. If they were left dangling on their own in the free marketplace just as the egg and beef companies have been, then the low-carb lifestyle would perhaps become more widely accepted as an alternative nutritional approach for people struggling with their weight. Unfortunately, Dr. Finkelstein chooses to ignore this and simply spread the "blame" around to everyone else for obesity. But that's not all that got under my skin about the conclusions made in this book. Although he agrees with me that individuals, not the government or society, must deal with obesity, Dr. Finkelstein says that the government needs to step in to treat childhood obesity when the parents aren't doing a good enough job at it. Say what?! I don't think so. If the government can't even give credence to low-carb the way they do low-fat diets, then I certainly don't think they have a shred of credibility about how children should be fed in order to properly manage their weight. Leave that job to the parents and give THEM education that is based on the latest science and not some opinions a bunch of "experts" came up with decades ago about what's healthy! The overall conclusion of The Fattening Of America is that it should be easier and more affordable to get thin and eat healthy in the United States than it is to purchase cheap junk food that's gonna keep making us fat. Amen to that and hopefully there are feasible ways of making that happen. It may take bringing down some very powerful industries that won't go down without a fight! 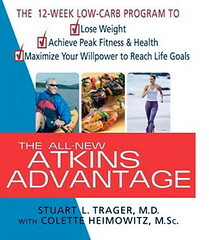 What's with a brand new "Atkins" book being published years after the famous low-carb diet doctor has deceased? Well, it's not by the late great Dr. Robert C. Atkins, but you could say he was the one who inspired it and may have indeed written it himself had he lived a few more years. It's called The All-New Atkins Advantage featuring the writing and research of Ironman competitor and orthopedic surgeon Dr. Stuart Trager as well as Atkins Nutritionals, Inc. spokeswoman Colette Heimowitz. I'm gonna admit I was quite skeptical of this book when I first heard about it. I mean, come on! Do we REALLY need another book to tell us how to do the Atkins diet? Well, yes and no. As someone who lost 180 pounds after reading and implementing the principles found in Dr. Atkins' New Diet Revolution back in 2004, I couldn't imagine what this "new Atkins" book would tell me to improve upon what I previously learned. But I try to keep an open and am always willing to learn. This new Atkins is very focused on giving people a specific 12-week plan for success, including tips about how to implement the diet into your life with menu plans and advice about how to become a success. One of the ways that is done is by providing a myriad of low-carb plans to choose from based on YOUR specific needs. When I was losing weight on Atkins, my carbohydrates needed to stay around 35g a day in order for me to keep losing weight. Some people need less than that while others can get away with more carbs. Since we're all different, The All-New Atkins Advantage tries to accommodate and customize this plan to your specifications based on your body. They don't really tell you which one to follow, so I suppose you start at 20g and work your way up. How is this different from the Atkins diet I did? Well, there is one major difference about this book that was not given as much space in any of the previous Atkins books. Dr. Trager uses his fitness experience and provides pictorial demonstrations of various exercises you should be doing as part of your healthy low-carb lifestyle. This is indeed a sorely needed addition to the Atkins plan that I'm happy to see. Answers to the most common questions and criticisms of livin' la vida low-carb are also included in this book which was inspired by all the positive developments that have been happening in the research world since the passing of Dr. Atkins. It makes you wonder if he would have written a similar book had he stuck around a few more years. Who knows? Regardless, you'll enjoy this book immensely if you are new to the Atkins lifestyle or if you are seeking to learn more about low-carbohydrate dieting. Don't miss the comprehensive list of low-carb studies in the back of the book to see all of the amazing science that has been flooding health research journals in recent years. For those of us who have struggled with our weight for the majority of our lives, we know that simply cutting back on our calories and fat ain't gonna cut it. When most people get exacerbated by the continued failure of these kind of diets, they turn to weight loss pills or surgery instead. Not good! 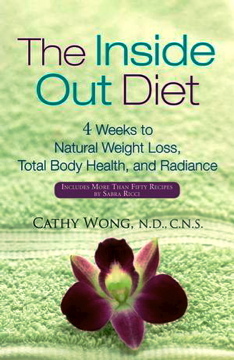 That's where Dr. Cathy Wong's The Inside-Out Diet comes in. Instead of focusing on the weight loss (which will still happen, by the way! ), this plan gets people to eat for the sake of their health instead by consuming a nutritional program that will allow your liver to function better than it ever has before. Yes, this is a detoxification diet, but it's so much more. I especially enjoyed the step-by-step approach of this diet looking at every possibility for why you might not be losing weight, including food allergies and intolerances, stress, excessive insulin production, and more. It's as if Dr. Wong takes you by the hand to assure you that we WILL get to the bottom of your obesity problem and attack it from "the inside-out." For fans of recipes, Dr. Wong includes 50 of her favorites in the back of the book. She earnestly believes in the slow, methodical approach to weight loss because it's about eating healthier first and foremost. If more people took on this philosophy of eating primarily for the sake of their health, then obesity rates would drop faster than they ever have before. University of Connecticut researcher Dr. Jeff Volek, who has been behind some of most "explosive" research into low-carb diets and, most recently, saturated fat consumption as part of a healthy lifestyle, teamed up with Men's Health Features editor Adam Campbell to create a dietary fitness plan tailored for people who want to burn body fat, increase their muscle, and live healthier. That's what the TNT Diet is all about. You know with Dr. Volek and Campbell behind this book, you ain't gonna be stuck eating a miserable low-fat, calorie-restricted diet. No way! Instead, you won't count a single calorie, you'll get to eat delicious and nutritious fatty foods that have never been a part of a "diet" before, and you'll only have to invest 90 minutes of exercise a week. Sound like a plan, man? They don't sugarcoat the message you need to hear and speak honestly about the investment of consistent time and energy to doing this throughout the book. Of course, those "TNT Transformation" stories sprinkled throughout the book will keep you motivated in your own journey. It's not just about the weight loss, but the changes you are making to your body's muscles. It won't take long to notice the difference! There's a mouthwatering list of TNT Diet-approved recipes between the nutrition and training section so you'll be fueled up ready to go with your workouts. And it's not all fun and games--although the picture demonstrations about how to do each exercise helps you know EXACTLY what to do. There's a nice summary of what you can expect to happen to your health after going on this diet in the back. It will be what motivates you to get serious about your health for good this time. We all know about the three macronutrients which have been at the very heart of debates about diet for the past few decades--fat, protein, and carbohydrate. But, according to Canadian nutrition activist Dr. Melissa Hershberg, there's a "fourth macronutrient" we all should be aware of and strive to get more into our bodies in order to lose weight and get healthy. It's WATER! Just as I recently shared in a YouTube video, drinking plenty of water is an important part of your healthy lifestyle and that's the essence of what has become The Hershberg Diet. And it's not just the water you drink straight from that tap, but the plethora of food choices that contain lots of water, too. 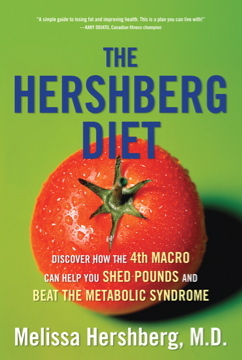 Dr. Hershberg explains it all for you in her book. In fact, she names a FIFTH macronutrient when she reveals alcohol contains 7 calories for each gram that is consumed. Most people don't think about these additional calories from alcohol, but they can add up despite being low-carb and sugar-free. You need to budget for alcohol in your diet if that's something you want, but it's not a freebie by any means. I appreciate Dr. Hershberg's focus on the role of insulin in obesity, but then she recommends all this low-fat and fat-free crap that quite frankly I can do without! Keep your lean ground turkey and skim milk, thank you very much. Unfortunately, this diet is indeed a low-calorie, low-fat program along with all that water you'll eat and drink. It's a nice concept, but the wrong dietary plan for most people. One of the most respected and outspoken doctors who is speaking common sense as it relates to diet and health is Dr. John Briffa from the UK. Unlike most of the medical establishment these days, Dr. Briffa realizes that weight loss can never be solved with a one-size-fits-all remedy as has too often been tried. That's why he came up with The True You Diet. He believes that most people should look at their early ancestors for the answers about how to remain lean and fit. These "hunter-gatherers" didn't worry about obesity and disease because their non-processed, low-carb, high-fat diets gave them all the energy their bodies needed to survive and thrive. Returning to this original diet is the missing element in our diet in the 21st century. 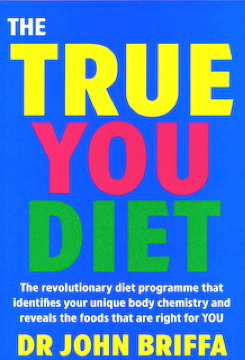 If you are a low-carber, then you'll be grinning from ear to ear as you read The True You Diet. Dr. Briffa delivers a solid message in an engaging fashion about many of the most fundamental truths that support low-carb living. His practical advice from years of treating patients arms you with knowledge you can rely on to help you stay committed to your permanent lifestyle change. What if your problem with weight had more to do with a deep hunger for meaning in the world rather than for that big slice of chocolate cake staring at you? Could our obesity not really have anything at all to do with calories, but rather attaining the hopes and dreams we don't even know we want yet? Deep questions like these are what Allen Zadoff explores in his book entitled Hungry. After allowing his weight to get up to 350 pounds in his late 20s, Zadoff thought he knew why he got to be so big. It had to be a whole host of reasons--a slow metabolism, not enough willpower, a big appetite, a desire to be manly and eat that way, big boned, and it made him happy. But in the end, he wasn't happy and traveled down a path that led him to lose over 100 pounds while gaining a whole new perspective on life. 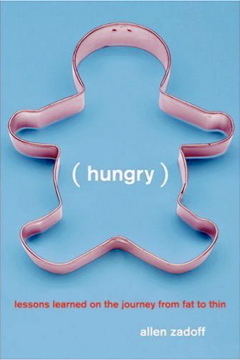 Hungry takes you down this road that Allen Zadoff took to shed the pounds and turn his world upside down. It's an inspiring story of hope for better tomorrow with behavioral methods concerning food that would intrigue a psychologist for weeks! And before you ask, his diet had very little to do with what kind of food he ate. That didn't matter to him (and he doesn't think it should matter to you). Another of the very few loud voices speaking out on behalf of a high-fat, low-carb diet in the UK is Dr. Barry Groves. With Dr. Atkins no longer with us, Dr. Groves has taken up the torch and carried it boldly and proudly for all the world to see. He's convinced that fat is not the source of our weight and health troubles--CARBOHYDRATES ARE! 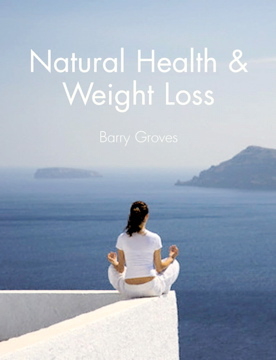 That's the underlying conclusion he shares in his book Natural Health & Weight Loss. After years of researching, studying, writing, lecturing, and, most importantly, LIVING the low-carb lifestyle, Dr. Groves has a lifetime of experiences to share about how eating fat to replace carbohydrate in our diet will keep your body healthy, fit, and lean when a high-carb, low-fat diet fails you. He says people should eat more real food if they want to ward off the diseases that afflict so many people these days, namely obesity, diabetes, and heart disease. Of course, all of his claims are backed up by the research and his more than four decades of personal and professional experience. In fact, you can even check out this thread at my LowCarbDiscussion.com forum dedicated to people following Dr. Barry Groves for lots of support and assistance as you implement these principles into your life. Dr. Groves has even been known to pop in to make comments and answer questions from time to time, too. Natural Health & Weight Loss is a book that you'll be proud to own and I cannot encourage you enough to get it, love it, and then LIVE IT! There are as many theories about why people get fat as there are stars in the sky and many of them have some merit in terms of having some kind of effect on obesity. Unfortunately, though, too often the actual CAUSE of weight and health problems is not addressed which is why the issue still remains. I believe The Serotonin Power Diet by Dr. Judith Wurtman and Nina Marquis simply looks at an effect of weight and health rather than what is at the root of the issue. The premise of this book goes something like this: you feel down and depressed because the serotonin levels in your brain are reduce; raise your serotonin by eating foods that will increase it, then you will take care of your weight and health. Oh, if it were just that simple. What's rudimentary here is the clear lack of respect for the research supporting the low-carb lifestyle by the authors. In a recent DietDetective.com column Dr. Wurtman claimed that saturated fat intake leads to the development of diabetes. HUH? Diabetes is caused by an overproduction of insulin that results from raise blood sugars brought on by consuming too many carbohydrates. This is where there's a clear disconnect. Most of the foods on The Serotonin Power Diet are VERY high in carbs to try to lift your spirits. Check out this list: biscotti, cereal, cinnamon raisin bread, crackers, fig newtons, graham crackers, granola bars, marshmallows, pita bread, popcorn, pretzels, rice cakes, and waffles. Shall I go on? Do you see what ALL of those foods have in common--VERY HIGH IN CARBOHYDRATE! Yes, they may make your serotonin levels go up, Dr. Wurtman, but the unpredictable blood sugar swings and constant hunger from the emptiness you feel from eating such a diet devoid of nutrients are why this diet would fail me miserably. Something tells me it would do the exact same thing to a bunch of other people, too. By the way, I've been eating a low-carb diet for four years and don't have ANY issues with being depressed or other side effects allegedly brought on by low serotonin levels. I wonder why that is, Dr. Wurtman? Any ideas? 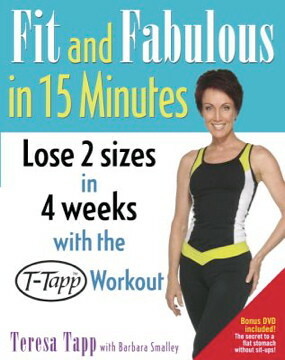 In the 1980s, Olivia Newton John had a #1 hit single called "Let's Get Physical" and that exactly the motto that Teresa Tapp took on when she created her famous T-Tapp Workout routine as outlined in Fit and Fabulous in 15 Minutes. In just a few minutes a day, she gives you a full cardiovascular workout that doesn't require any equipment or joint-jarring movements. Actually, you'll probably have fun while you're exercising which will make it more successful than if you dreaded doing it! This book provides you with all the instructions a busy mom or working professional needs to get in a good workout at the beginning of your day or after the kids have gone to bed. It's low-impact and will clear up virtually any and all issues you may have with pain and soreness in your body. T-Tapp offers real results really fast! Teresa herself demonstrates the moves you need to get your body in shape and she provides real-life examples of people who have implemented T-Tapp into their life with amazing results. If the idea of exercise makes you want to run and scream in the other direction, then perhaps you should check out Fit and Fabulous in 15 Minutes for a nonthreatening alternative. 14. 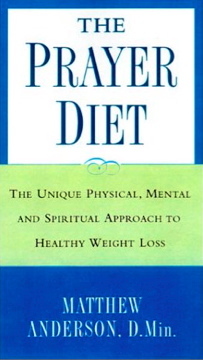 The Prayer Diet: The Unique Physical Mental and Spriritual Approach to Healthy Weight Loss by Dr. Matthew Anderson, D.Min. I strongly believe in the power of prayer and credit it for helping me in my low-carb weight loss journey back in 2004. God gave me the strength to stay on plan even when I felt like giving up and He rewarded me with a 180-pound weight loss in just one year. So naturally I am supportive of anyone who wishes to implore the Almighty as part of their weight management plan. The Prayer Diet espoused by Dr. Matthew Anderson is focused specifically on making prayer the central focus of your weight and health plan. By taking the focus off of food, your weight, the health problems you may be facing, and all those other issues that tend to dominate the discussion regarding your diet, Dr. Anderson shifts the focus to God where it belongs and His sovereignty to make the necessary changes in you to bring about weight loss. If you're not a Christian, then you probably won't understand why this diet could possibly work for you. But any believer who trusts Jesus Christ as their personal Lord and Savior will tell you how essential prayer is to a healthy spiritual life. And The Prayer Diet simply extends this to your physical life, too. Specific prayers for yourself and others are included in the book to help guide you towards God's will regarding the weight and health of you and your loved ones. Our most precious commodity in this world are our children and making sure they are eating properly is a challenging task to say the least. With fast food and junk food being dangled in front of them on television commercials and on the Internet using cartoon characters and clever marketing to appeal to them, it's literally a war out there--a "food fight" between parents and their kids about what to eat. 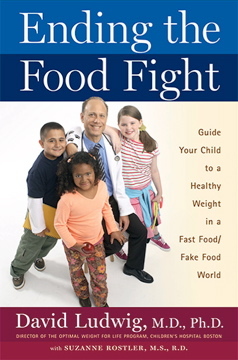 That's why pediatric physician Dr. David Ludwig wrote Ending the Food Fight because he wanted to show parents that it IS possible to feed your children healthy foods without having them pitch a fit. The 9-week OWL program that Dr. Ludwig uses with children all the time at the Children's Hospital Boston has a proven track record of helping even the most defiant, sugar-addicted kids to eat better. It's all found in this book! You'll recall that Dr. Ludwig has published some research on "fatty liver" being a problem with eating too many carbohydrates, so he is certainly a proponent of livin' la vida low-carb based on what the science has shown him. And applying those principles to children makes sense to him which is the heartbeat of everything he does. If you are a parent, then you should own a copy of Ending the Food Fight. Do you have a diet and/or health-related book you'd like for me to read and review? Please e-mail me at livinlowcarbman@charter.net with the details and I'd be happy to share my thoughts and comments about it with my readers. He's smart and sensible, his blog is organized so it's easy to find other columns that he's written in the past, and he doesn't insult people who don't share his views. I was wondering when you'd discover Slow Burn. I've been doing it for just over a year, and have found I don't need cardio at all. Fred's a great guy, looking forward to your interview. Good luck with it, I hope you really take it up, tho it might be hard to find a trainer who's supportive in your area. Thanks Mr. Fritz. I will be implementing some Slow Burn techniques into my resistance training. My trainer is 20 and believes in the traditional methods. But I'm clueless about what to do, so he's helped me so much. I have been on the TNT workout since Nov 2, 2007. I have lost weight, gained some muscles I didn't realize I had and feel better than ever. I can't wait to go back to the Dr. in February to see what the blood work says. 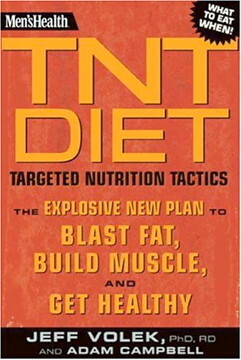 Is the TNT diet and workout aimed at both sexes? GREAT QUESTION, Sue! Actually, it CAN be used by women, too. Check it out! 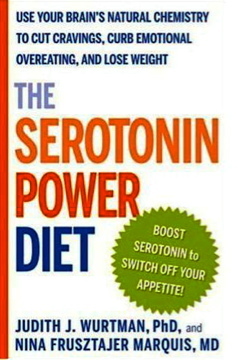 The Serotonin Power Diet - anyone who's actually read this book would realize from your "review" that you haven't. It's fun pretending to be an expert, huh?